A successful small business, an exciting new job, or a growing family; there are many good reasons to rent a storage unit in Montgomery, Alabama. When you need a little extra space to make your life more manageable, count on Metro Self Storage. Our friendly Property Manager will guide you through the storage rental process to help make your experience friendly and efficient. College students at Alabama State University, Huntingdon College, and Auburn University at Alabama will find our handy 5X5, and 10X10 units are perfect for their student storage needs. For families and professionals, small storage units are great for things like seasonal sports gear, holiday decorations, or to make room for a home office. At Metro Self Storage, we take pride in our competitive storage rates, and our clean, well-maintained facility features 24-hour security monitoring. 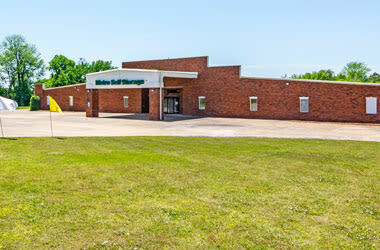 Metro Self Storage of Montgomery brings together great self storage features and a convenient location to give you exceptional service and value. 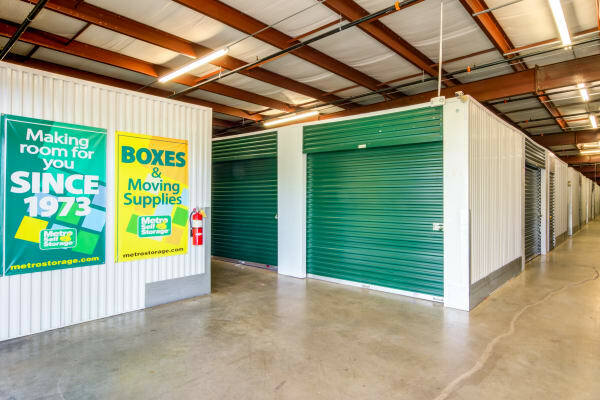 Businesses both small and large can benefit from renting a commercial storage unit at Metro Self Storage in Montgomery, Alabama. During periods of growth, downsizing, or even relocating, having a flexible space without expensive commercial leases can help businesses though many types of transitions. If your company needs additional space for business records storage, a commercial storage unit with climate control will keep these documents in pristine condition. Our sparkling clean storage units are available in a wide range of sizes, and with package and delivery acceptance, you won’t have to worry about missing an important delivery. Want to learn more about your business storage options in Montgomery? Call us today. Our friendly Property Manager is here to help you select a unit and answer all of your questions. When you need to rent a self storage unit in Montgomery, it is important to understand that several types of personal and business items benefit from being stored in a climate-controlled storage facility. Our climate-controlled units help protect your items from severe temperature swings and offer added protection against dust, pests, and humidity. What types of items need climate-controlled storage in Alabama? Learn more about your options for renting a climate-controlled storage unit by speaking with our knowledgeable Property Manager today.